Islam teaches all of these things — liberty, equality, and fraternity — but they’re not always shown by Muslims, especially not equality. 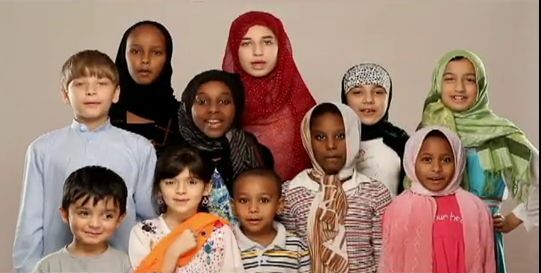 Islam is a diverse religion with people all over the globe converting to Islam every year, but sometimes it’s hard to tell because some Muslims act like their racial or ethnic community is the only one that exists. In all honesty, we have a racial discrimination problem in Islam, especially towards the Black community, including both Black Muslims and non-Muslims. A lot of us don’t treat everyone equally, even though we preach to others that they should. We cry wolf when we’re the ones being discriminated against and being called terrorists, but many of us leave others in the dust when it’s towards them; again, especially Black people. We ignore the slayings of Black people in the news and on social media, until we find out they were Black and Muslim, and only then do we post about it. We idolize people like Bilal Ibn Rabaah, the most well-known Black Muslim, yet we racially profile other Black Muslims, non-Muslims, and minority people of color in general. This has to change, simply because it’s immoral and doesn’t make any sense. It goes completely against the values of Islam, so if you claim to be following the path of Allah, you have to make sure to treat everyone with an equal amount of respect and civility. But we cannot sit around in Islamic school and at the mosque preaching ayaats and hadith dealing with diversity, then turn our backs on our brothers and sisters who have differing backgrounds and skin tones than us. In my experience hearing from non-Muslims, Islam is typically thought of as an “Arab religion.” Personally, I think a lot of Arab Muslims have internalized this stereotype, and have subsequently formed a sense of superiority in their minds over Muslims of other races. Arab Muslims are seen as the “original Muslims,” when in fact that isn’t true at all. As if we don’t have enough stigma to battle from non-Muslims already, we insist on creating more problems in the heart of our beloved religion because we’ve been so warped to believe that we can do so without straying from the guidelines of Islam. Even with all this going on, Islam has been ranked the “Most Ethnically Diverse Faith Community,” but we still have to do better. As I already explained, just because we’re diverse doesn’t mean that we’re inclusive of each other. Combatting this problem starts now, with all of us. Islamic organizations need to recruit people from all races. They also need to start allowing Black people to have leadership roles in these organizations. Arab Muslims need to start making friends with Black and Latinx Muslims, and we all need to do better when it comes to speaking out against racial inequality wherever we see it, whether it’s inside the Muslim community or not. Putting one Black person whom you don’t even know on a flyer for an event your organization is holding doesn’t count and isn’t nearly enough. Like all problems, it must be looked at from the source. We have to look into ourselves first, and ask ourselves what we can do better before we continue to preach the importance of diversity and racial equality to everyone around us. Once we fix ourselves, we can start calling our brothers and sisters in Islam out on what they still need to consider. Letting things slide is almost as bad as doing the deed yourself. We are definitely all one ummah, but we have to start internalizing it and showing it as well for it to genuinely be true.